SEE WHO'S PROMOTING THEIR BUSINESS AT RECAM CONGRESS! Electronic Power Design, Inc. is an Electrical Systems Integrator with 20 years of extensive experience in marine drilling, propulsion, power/control systems, mining, petrochemical, steel, paper, plastics, dredging, and solar & winding energy sectors. We provide value-added electrical equipment and services to a variety of industries worldwide with emphasis on total power system integration and automation. Louisiana Cat has an extensive range of diesel and natural gas generator options, switch gear, energy storage, control and monitoring, and customized packaging solutions to meet any need. Louisiana Cat is partnered with Electronic Power Design, Inc. Through this partnership, we can provide turnkey Engineering Procurement and Construction (EPC) solutions for renewable energy to include standalone or utility tied microgrids using Caterpillar’s extensive portfolio of power products. Phono Solar is a global leading manufacturer of high-performance photovoltaic products. It is affiliated to SUMEC Group and is the executive entity of China National Machinery Industry Group's new energy sector. Based on technological and product innovation, Phono Solar is committed to the development of the photovoltaic industry and strive to provide high-quality and cost-effective photovoltaic products for global customers. Sungrow Power Supply Co., Ltd (“Sungrow”) is a global leading inverter solution supplier for renewables with over 60GW installed worldwide as of December 2017. Founded in 1997 by University Professor Renxian Cao, Sungrow is a leader in the research and development of solar inverters, with the largest dedicated R&D team in the industry and a broad product portfolio offering PV inverter solutions and energy storage systems for utility-scale, commercial, and residential applications, as well as internationally recognized floating PV plant solutions. With a strong 20-year track record in the PV space, Sungrow products power installations in over 50 countries, maintaining a worldwide market share of over 15%. 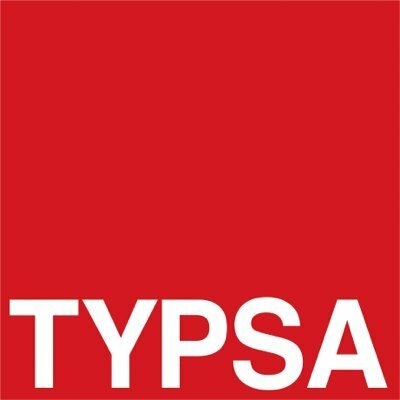 TYPSA is a leading consulting engineering group in the fields of transport, buildings, water, environment, energy and rural development. We have a long-standing relationship with public, private and institutional clients in the Americas, Europe, Africa, Asia and the Middle East, assisting them in the development of infrastructure projects from concept to completion.